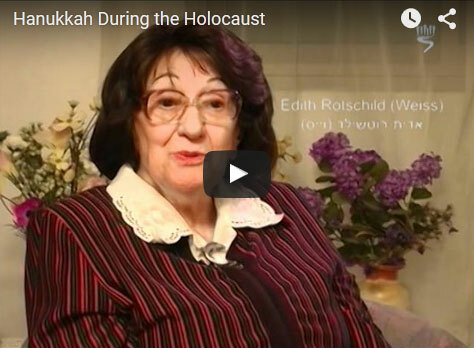 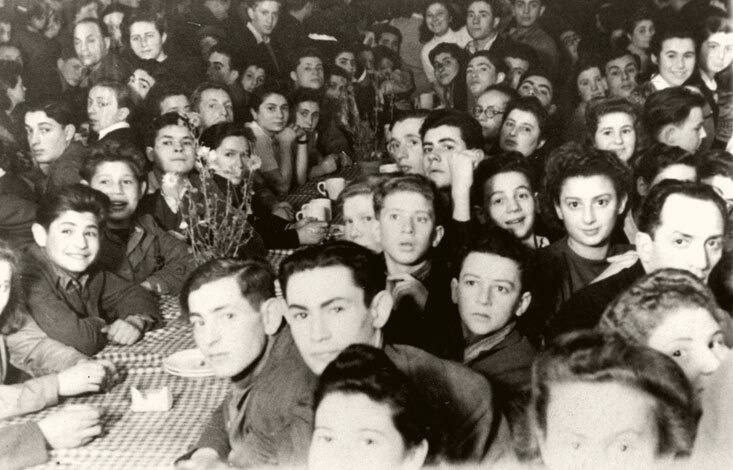 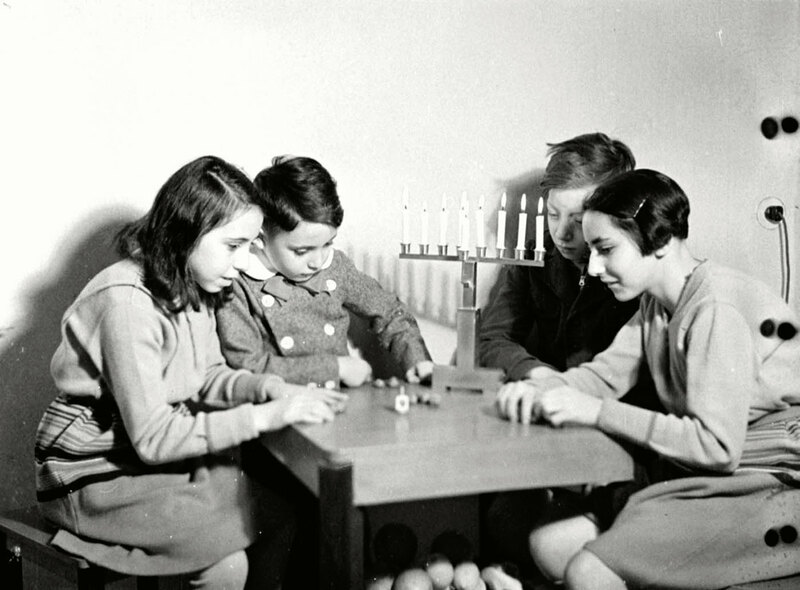 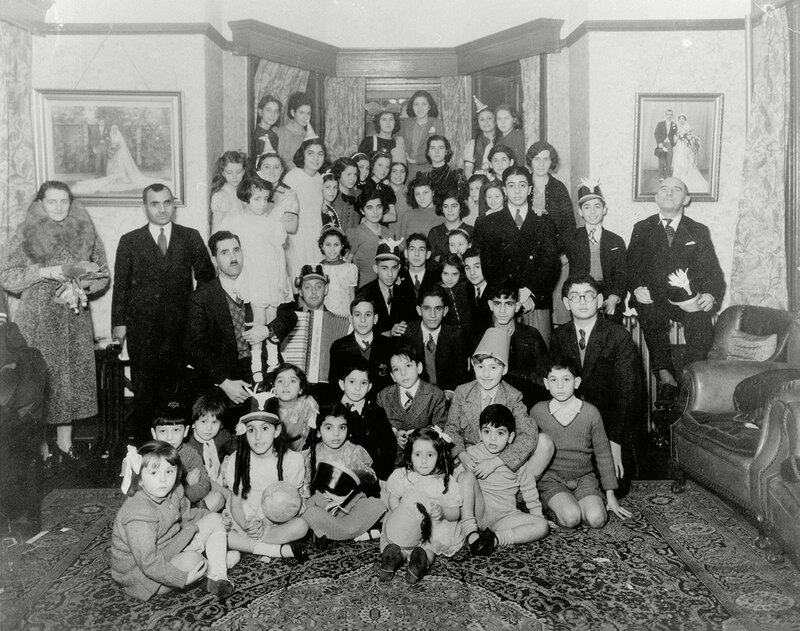 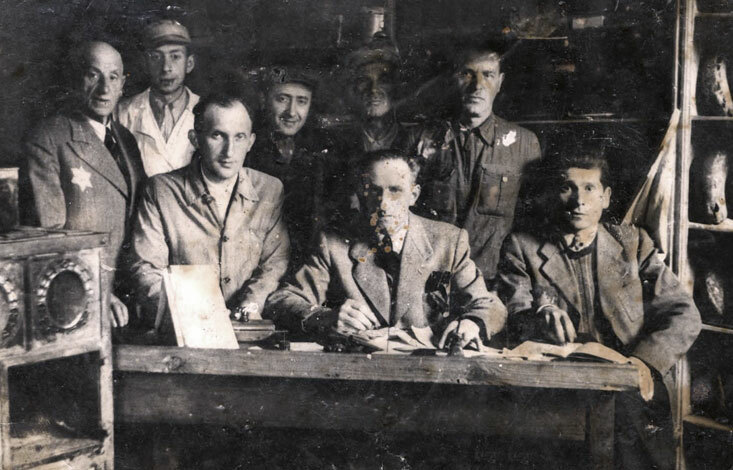 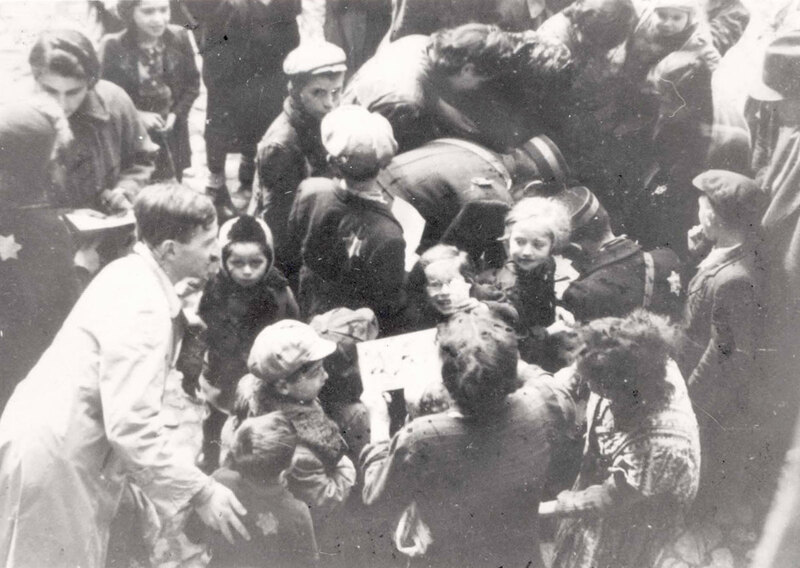 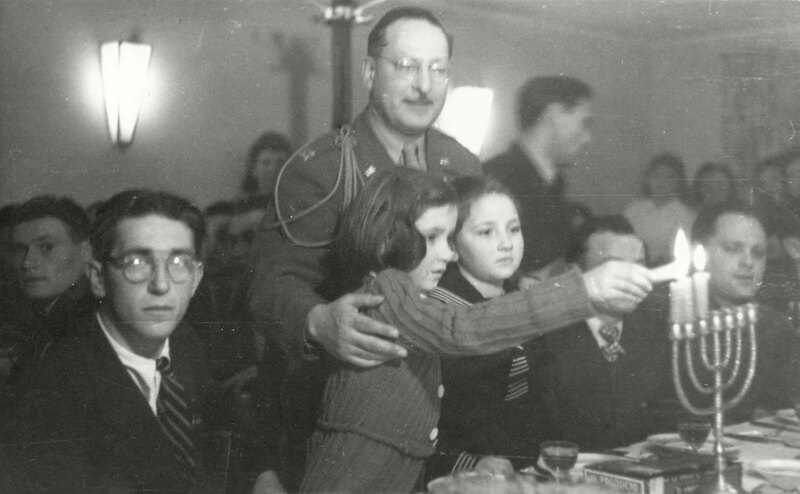 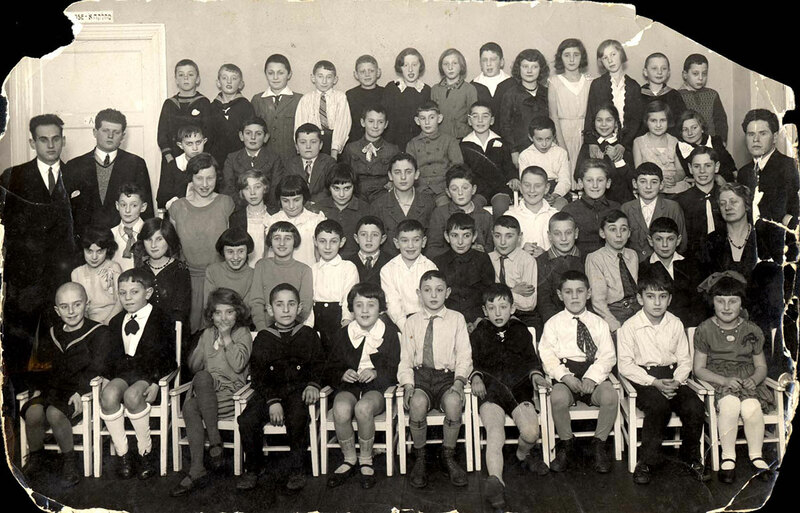 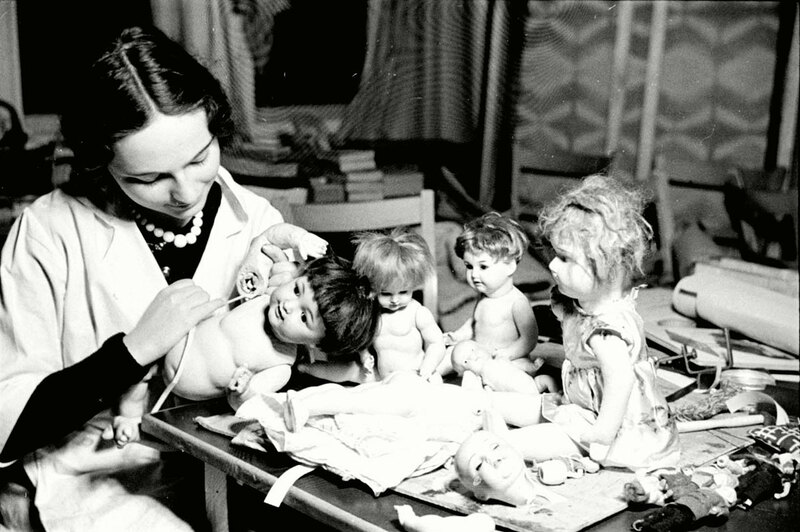 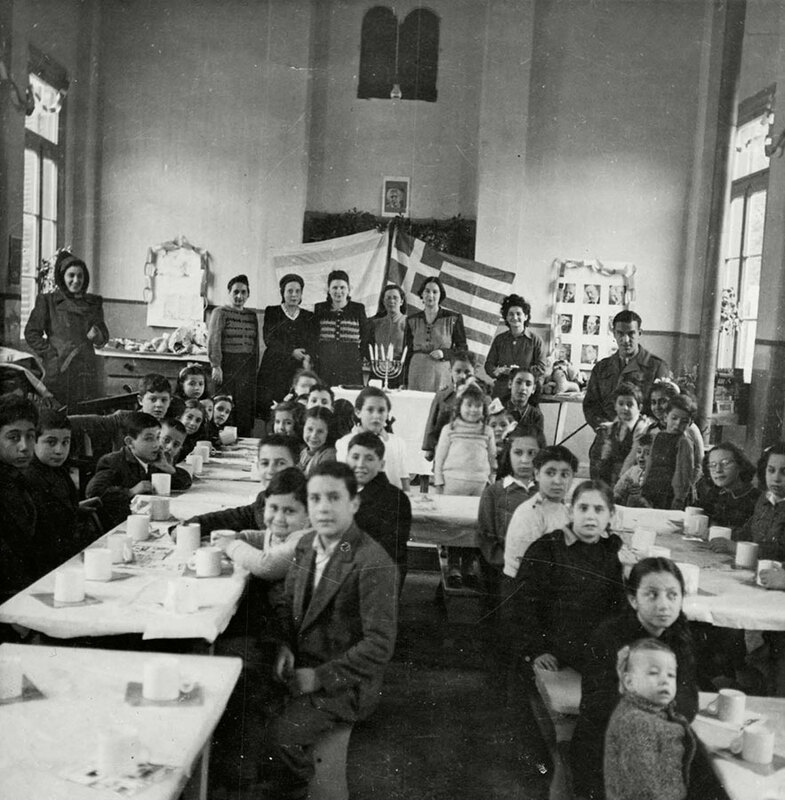 Through photos, artifacts and personal testimony, this exhibition shares some of the ways this holiday was observed throughout Europe prior to the Holocaust, during the Holocaust years, and in the displaced persons camps and children’s homes following the war. 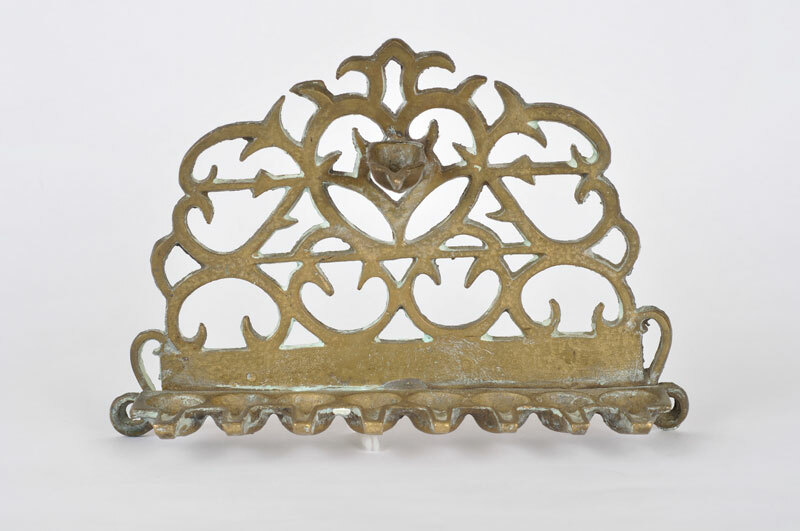 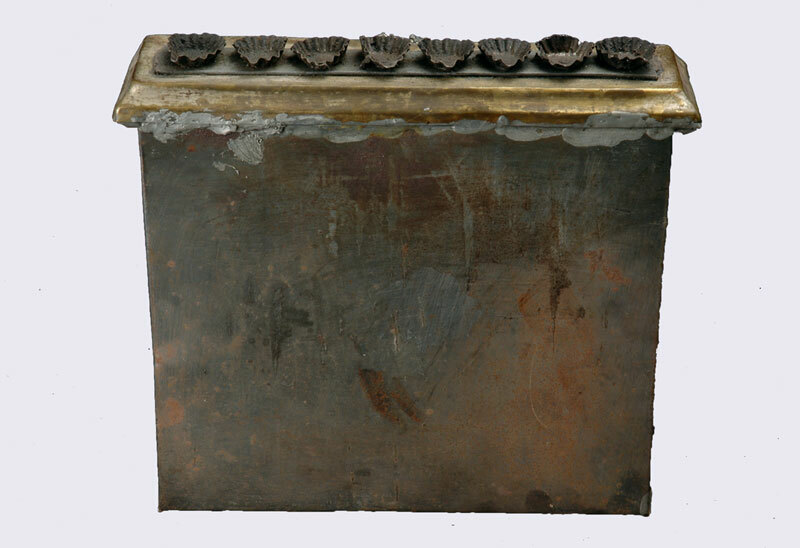 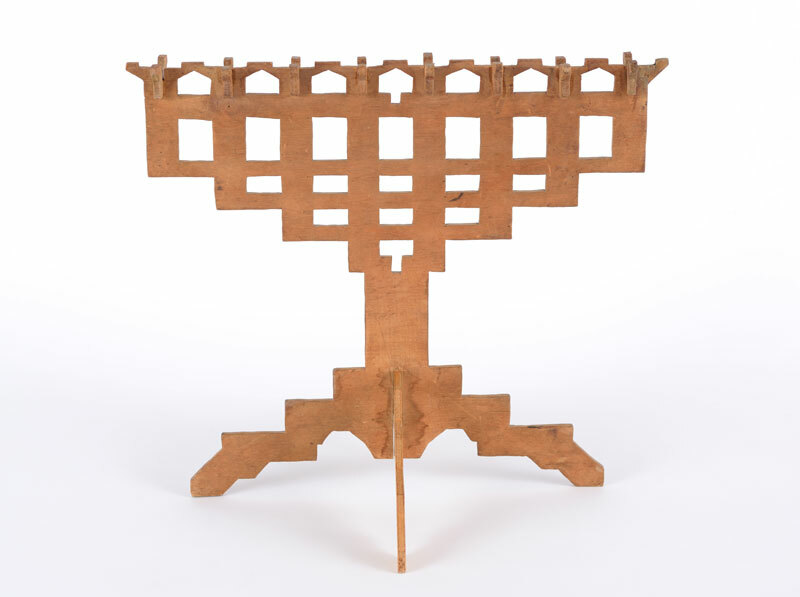 This nineteenth century Hanukkah menorah was found, wrapped in newspapers dated 1941, under the floor of the former synagogue in Alphen aan den Rijn, Holland during renovations carried out in the 1980s. 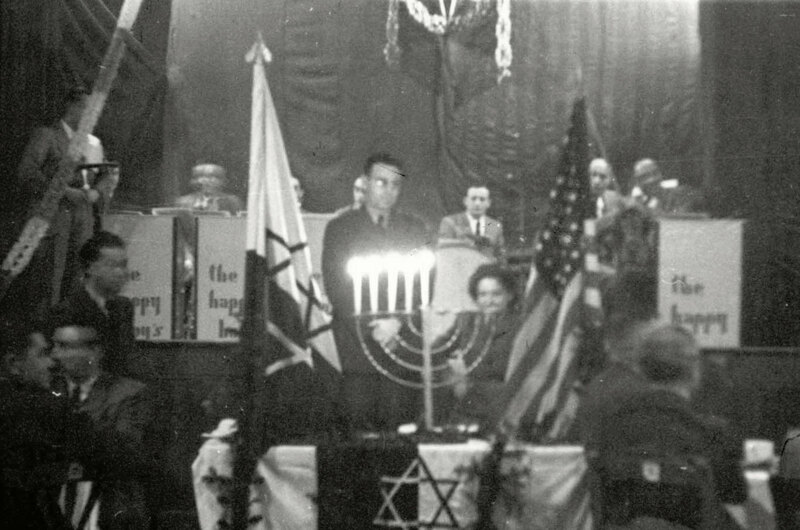 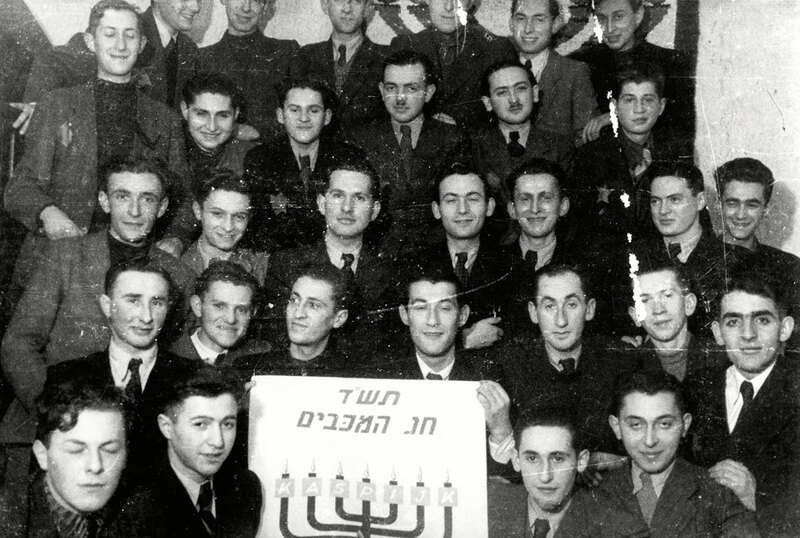 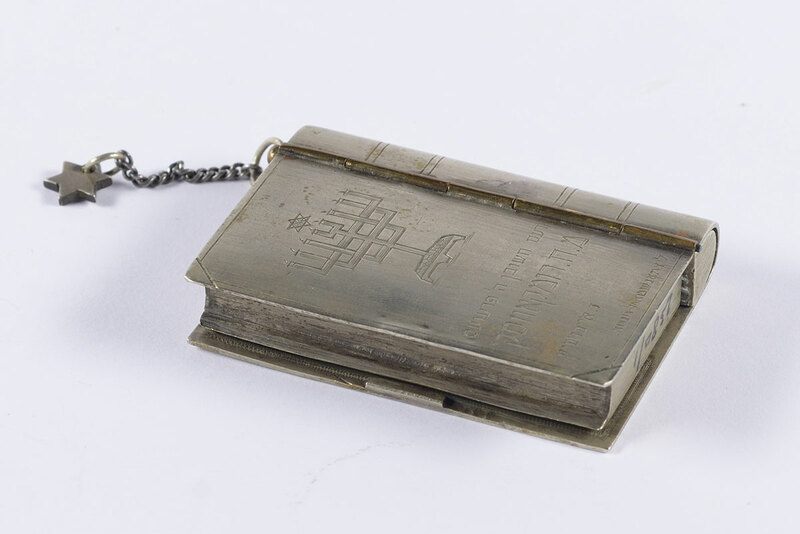 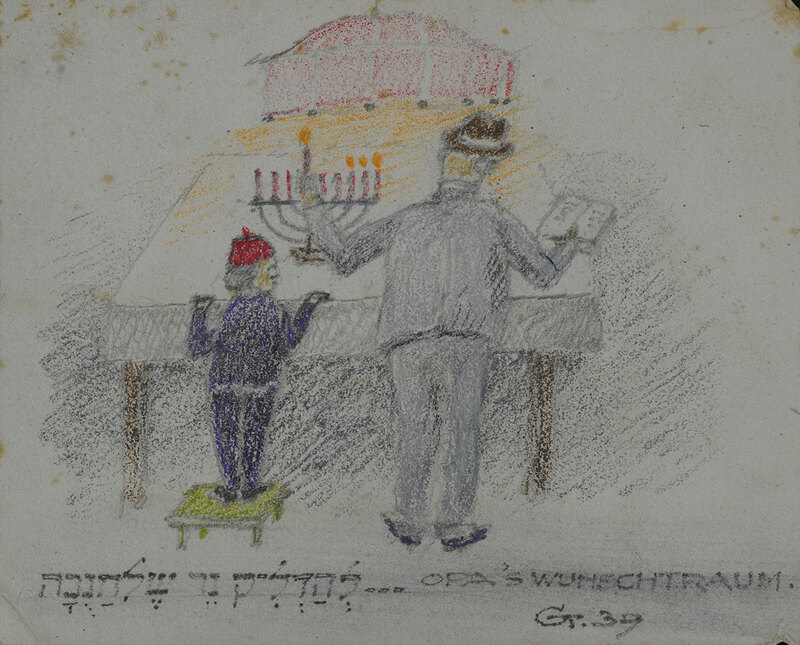 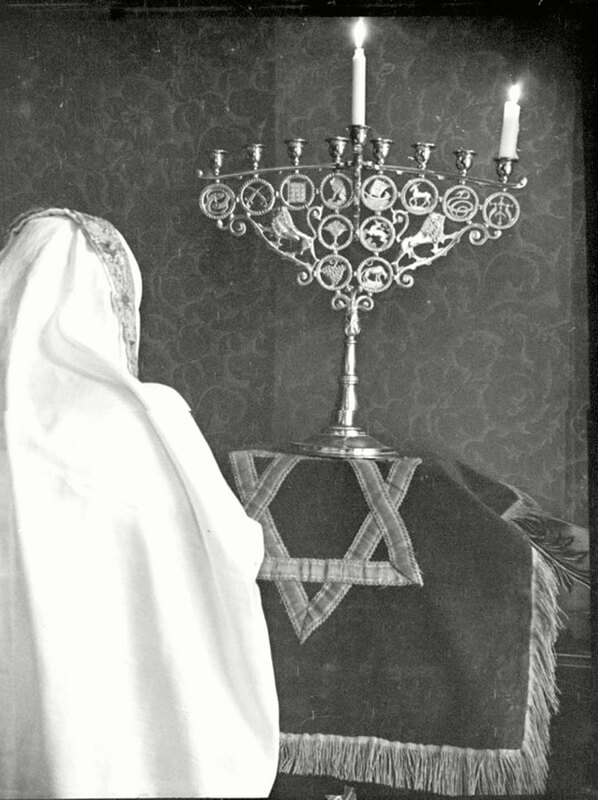 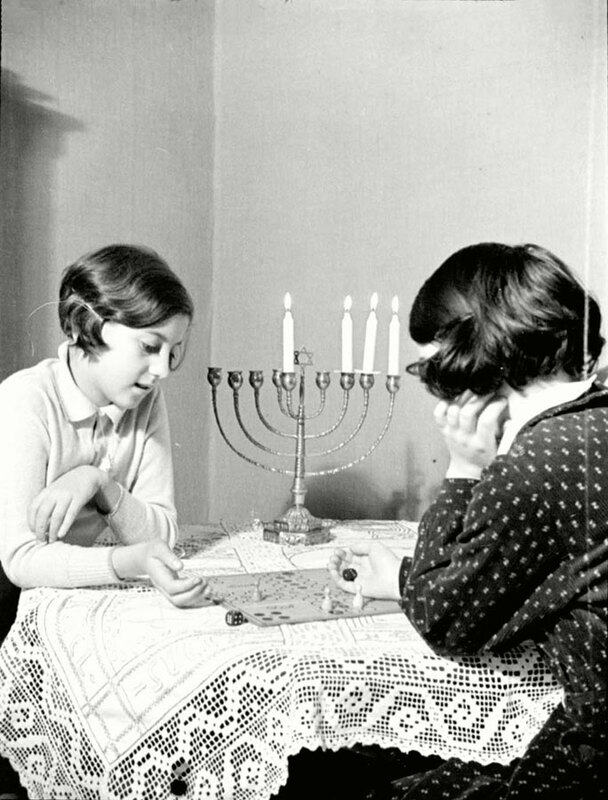 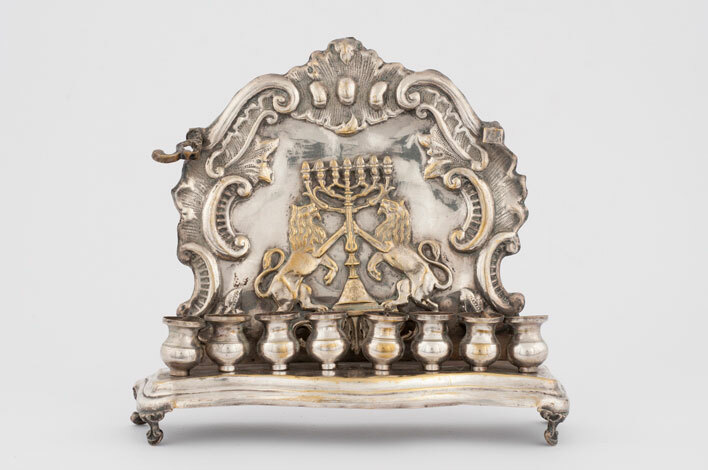 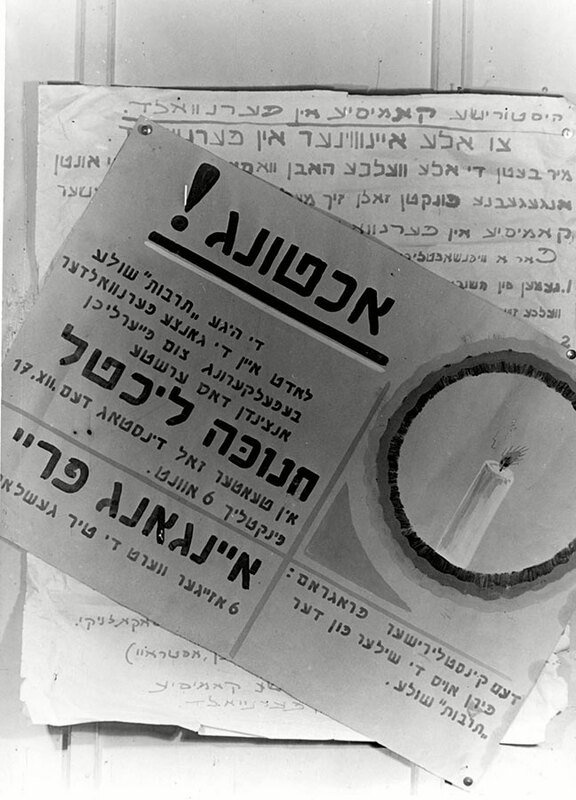 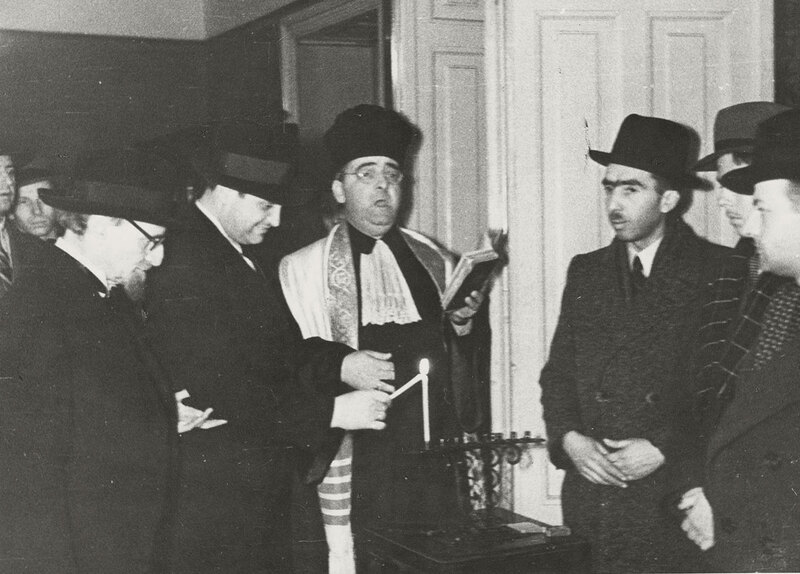 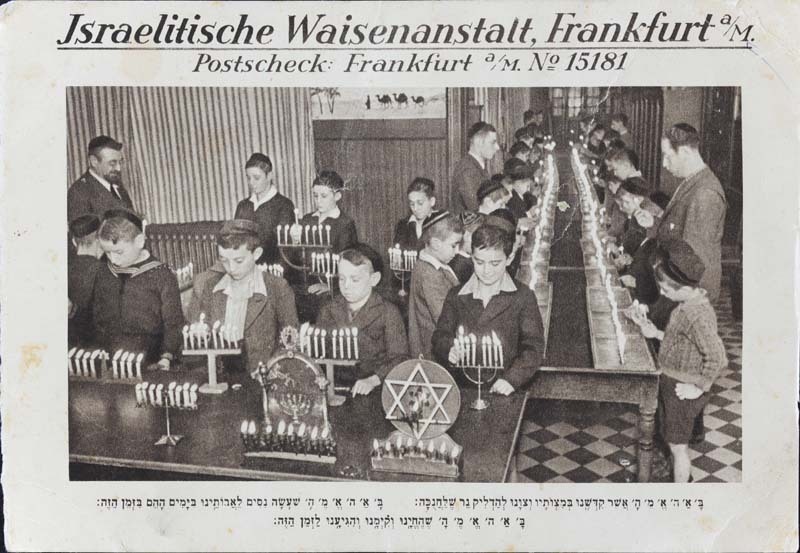 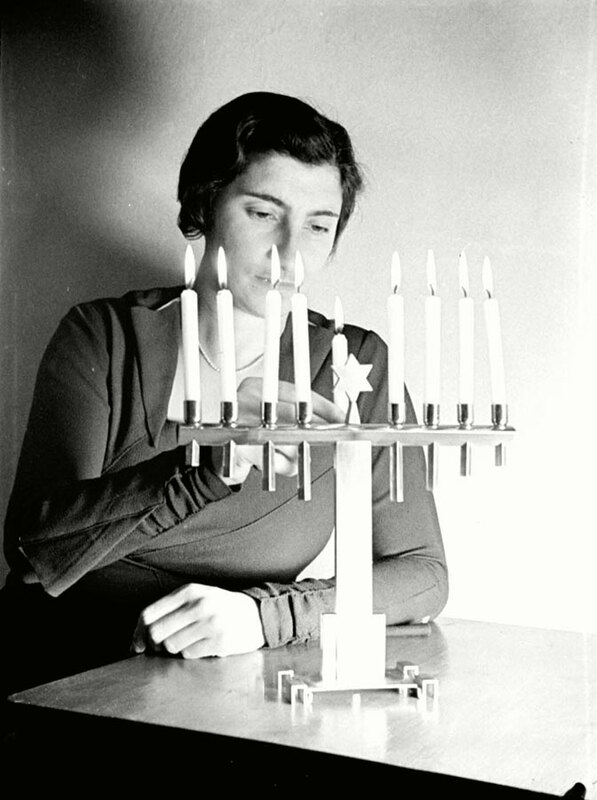 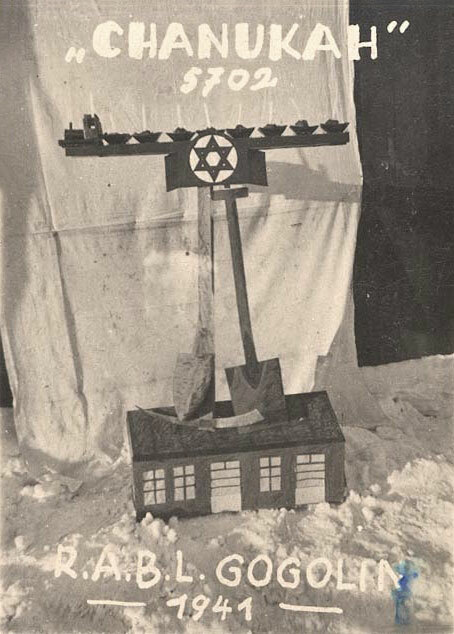 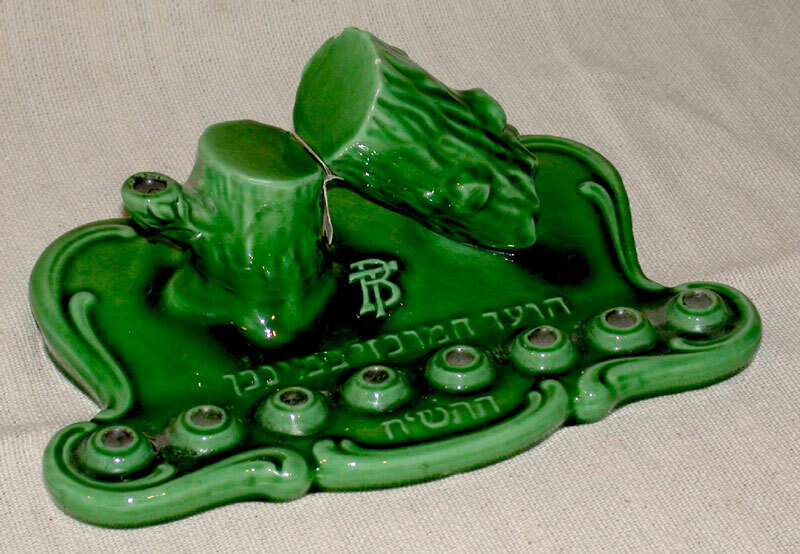 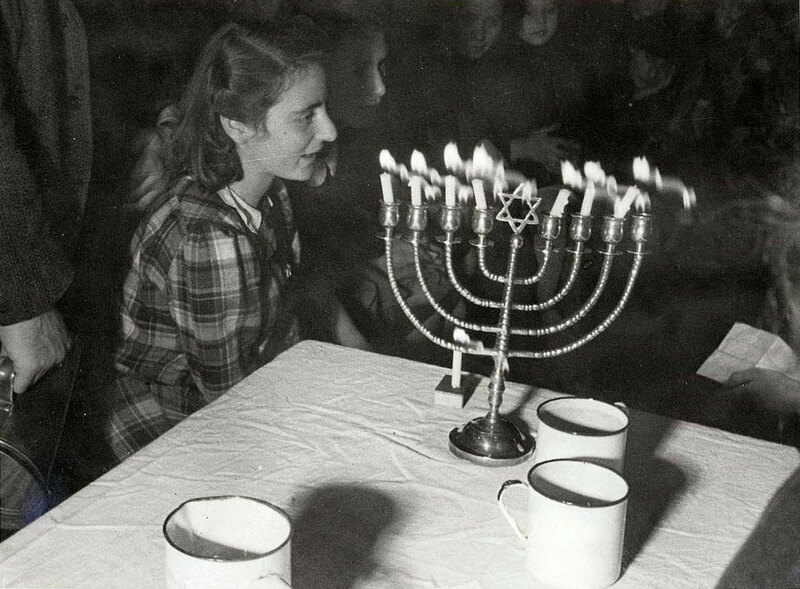 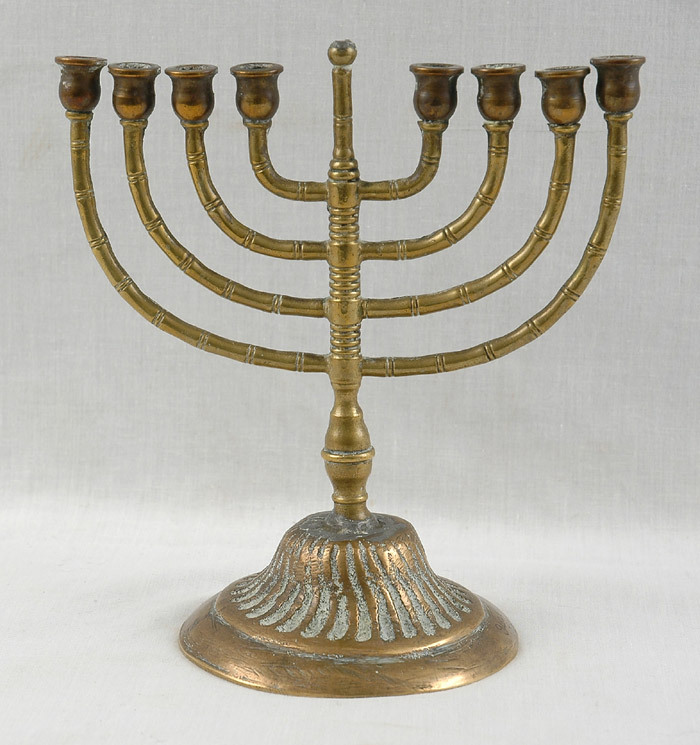 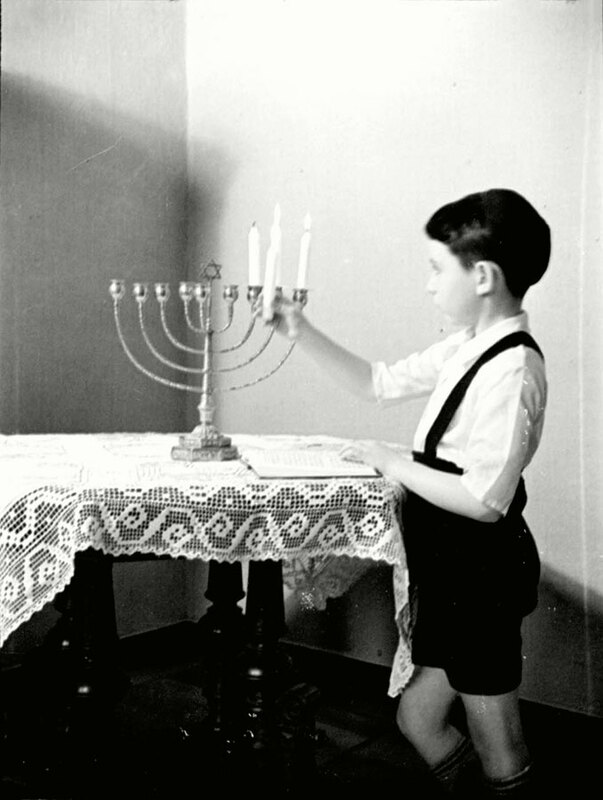 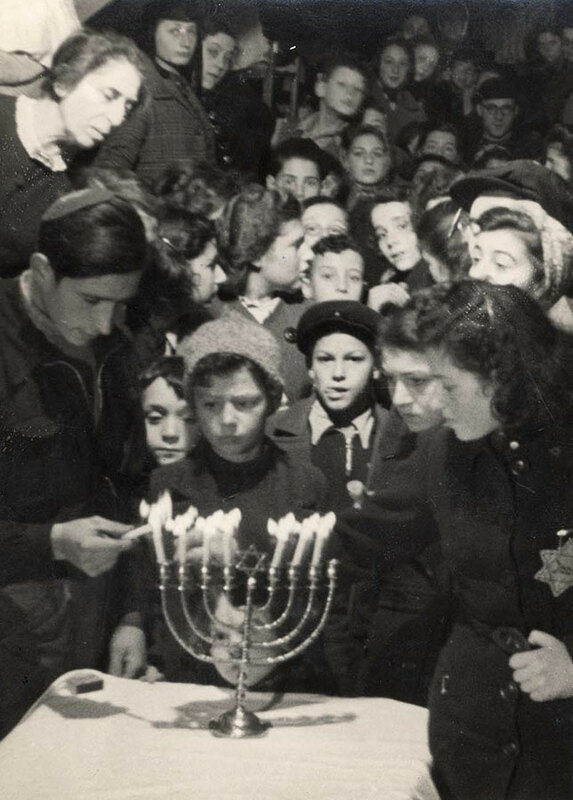 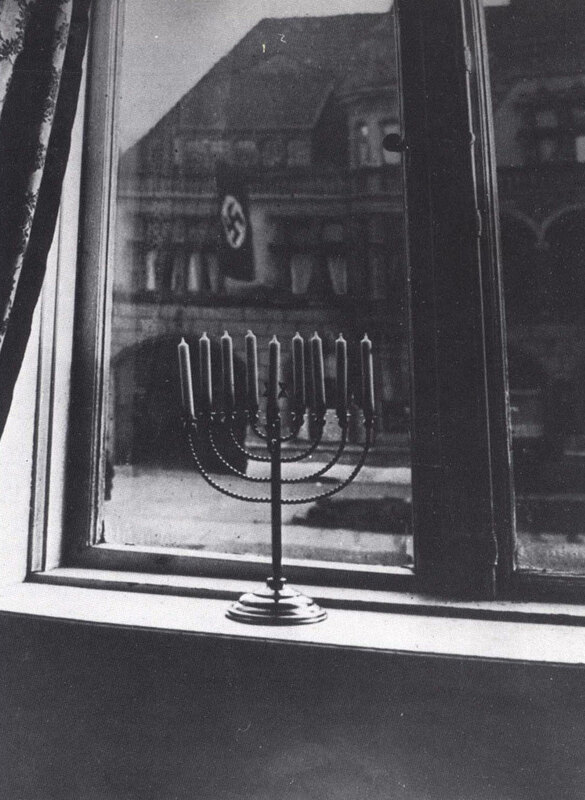 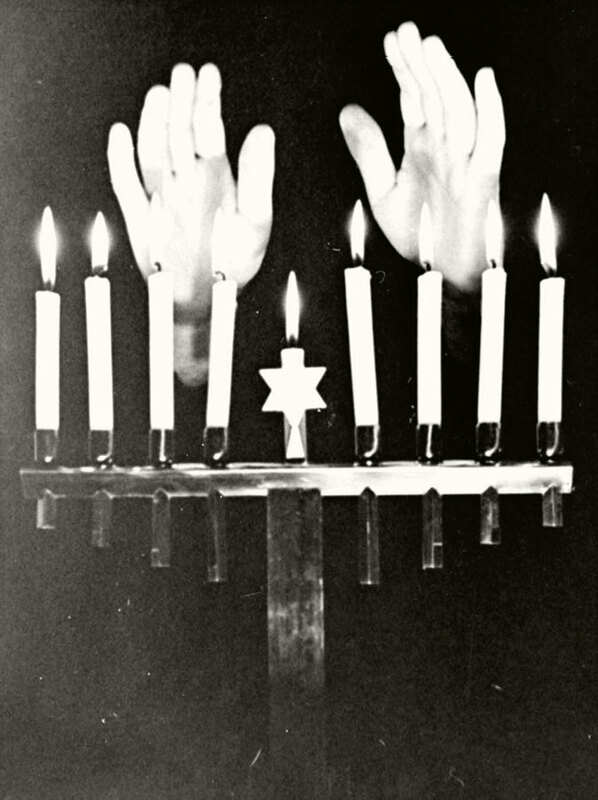 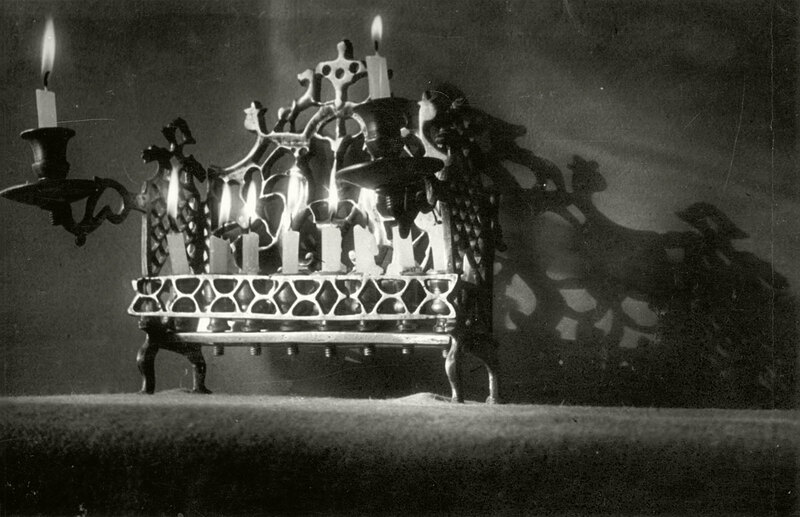 This is one of many Hanukkah menorahs that was plundered by the Nazis. 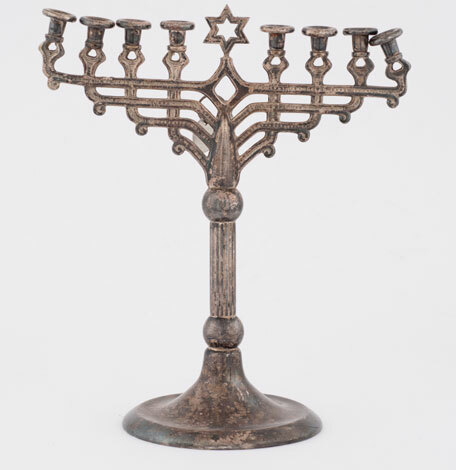 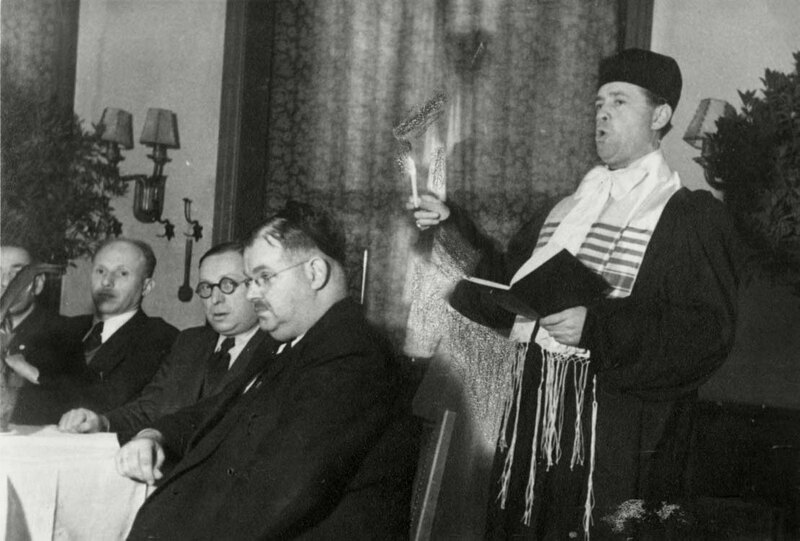 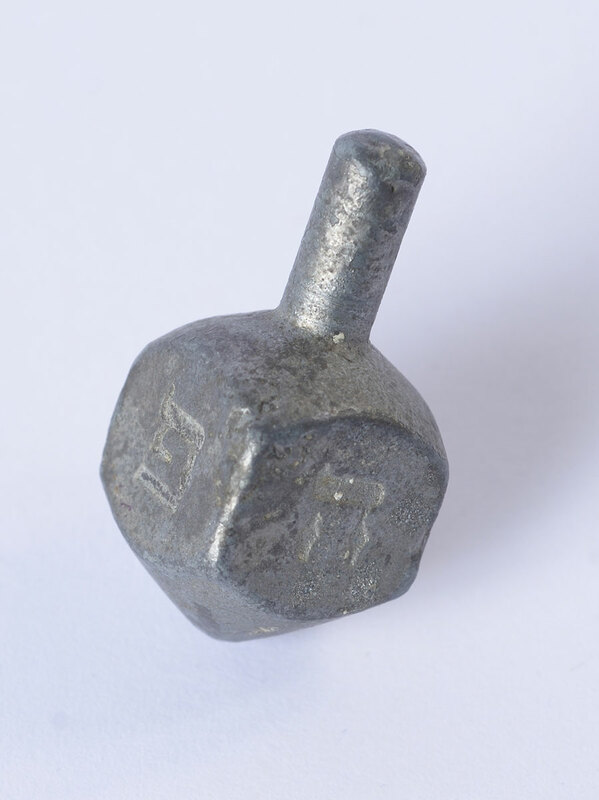 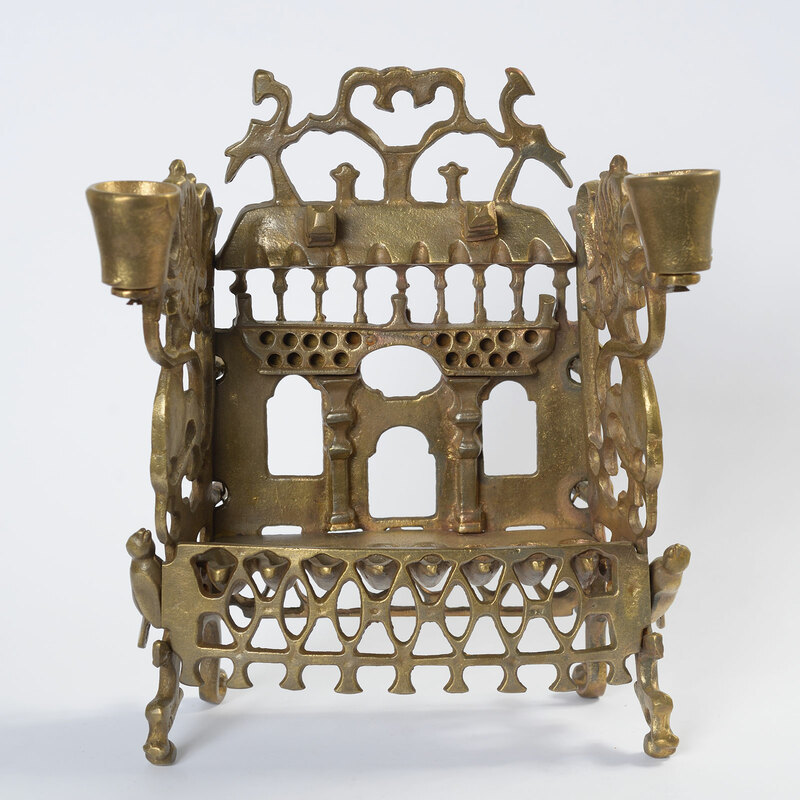 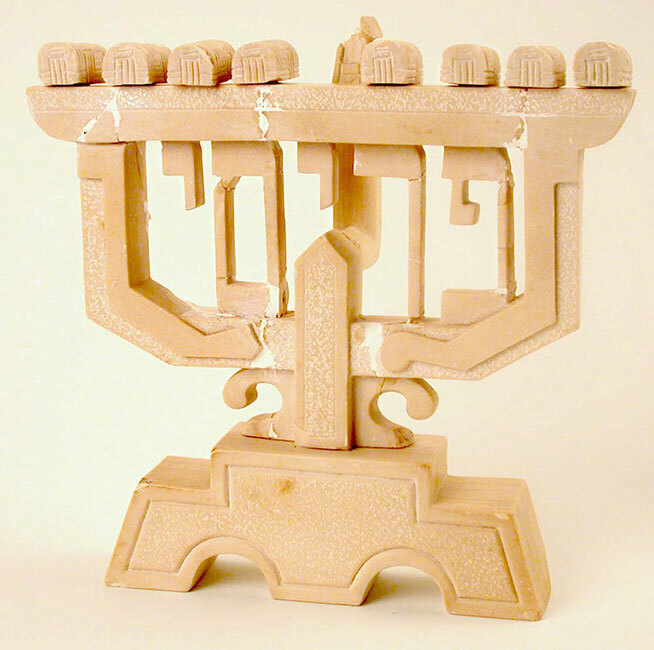 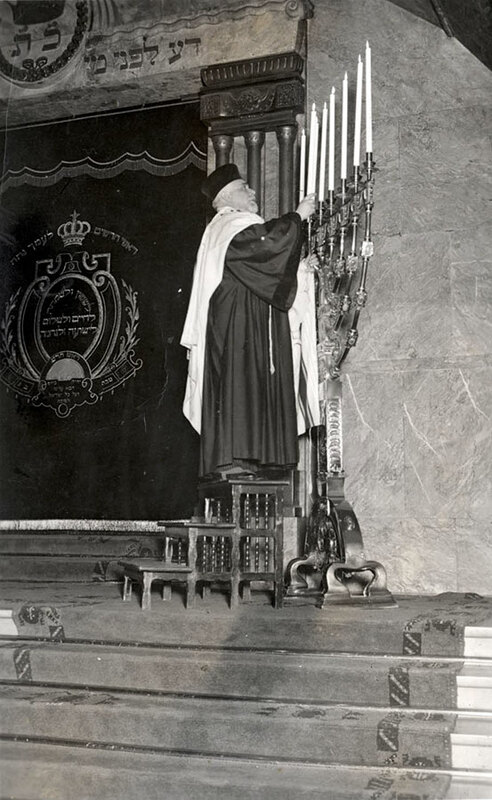 The menorahs, along with other Judaica, was collected by the Jewish Cultural Reconstruction Organization after the war. 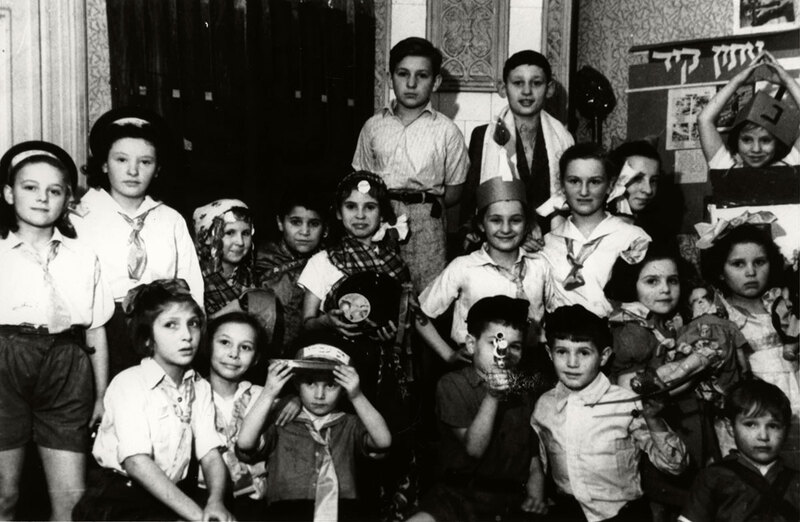 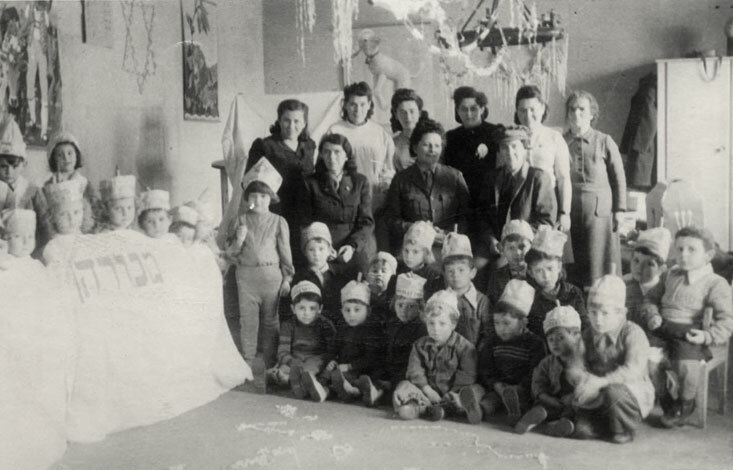 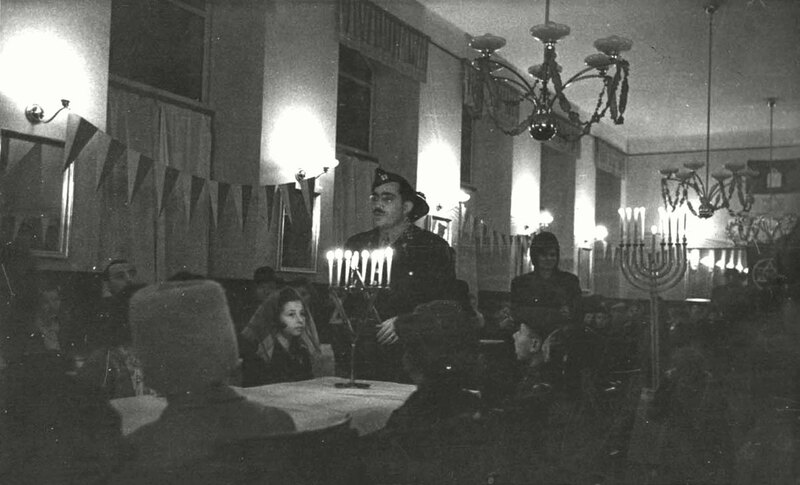 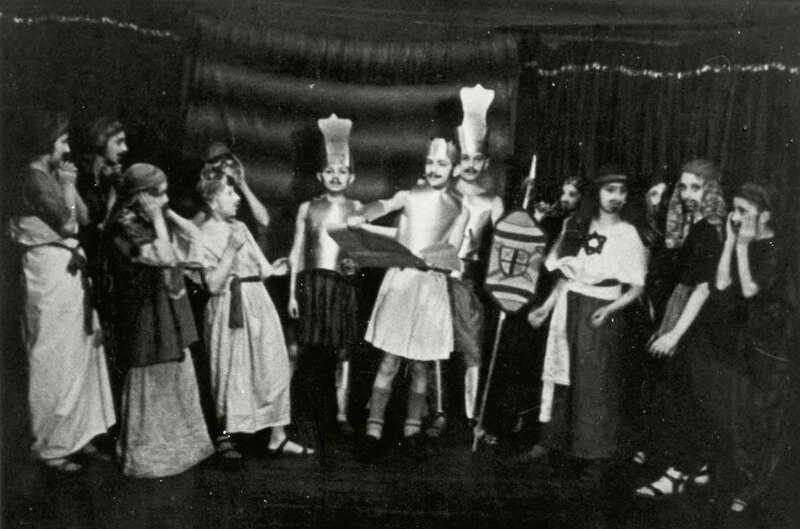 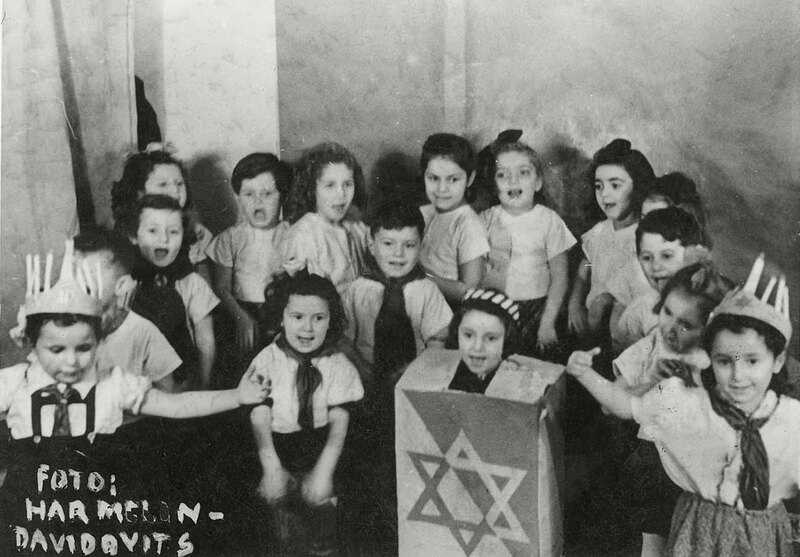 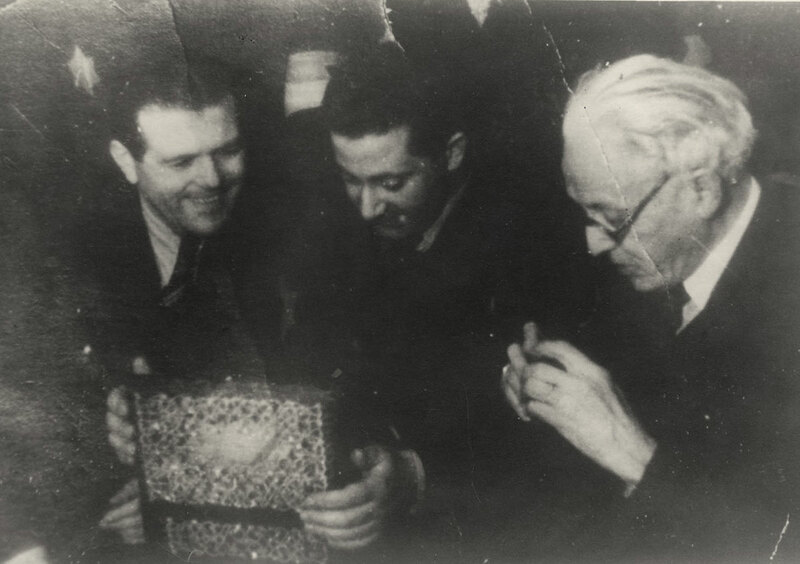 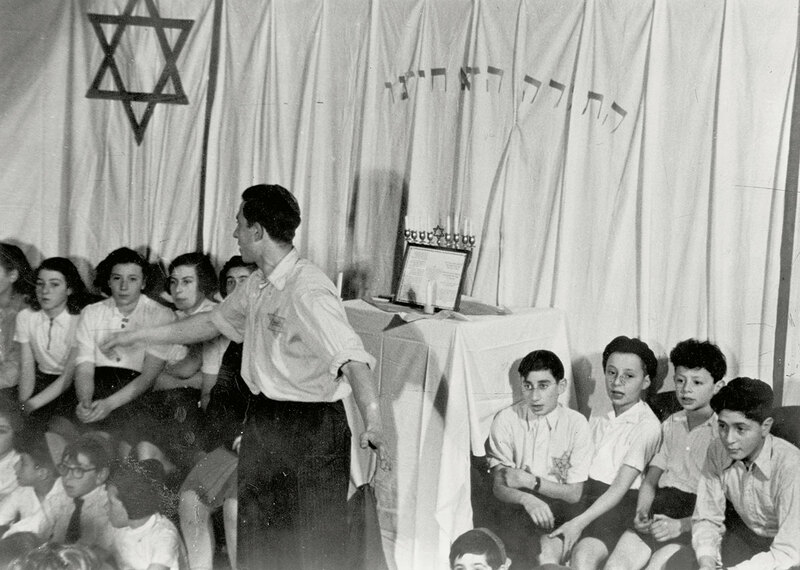 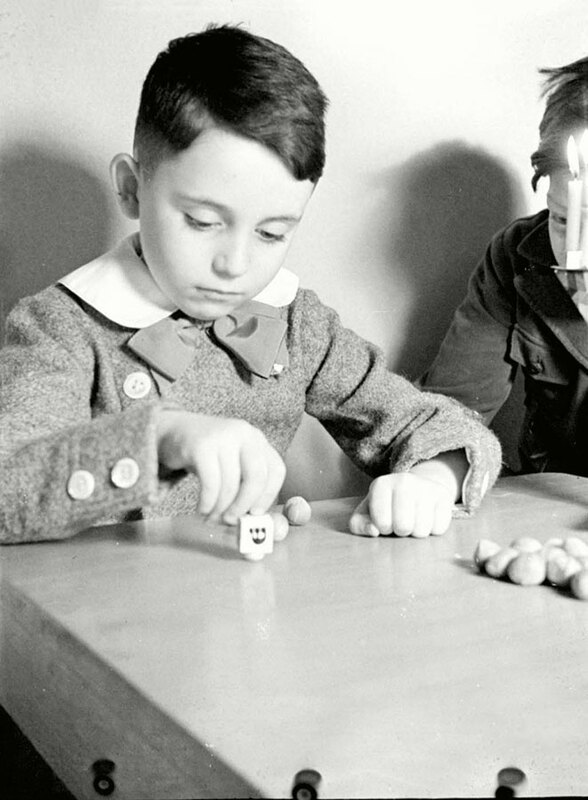 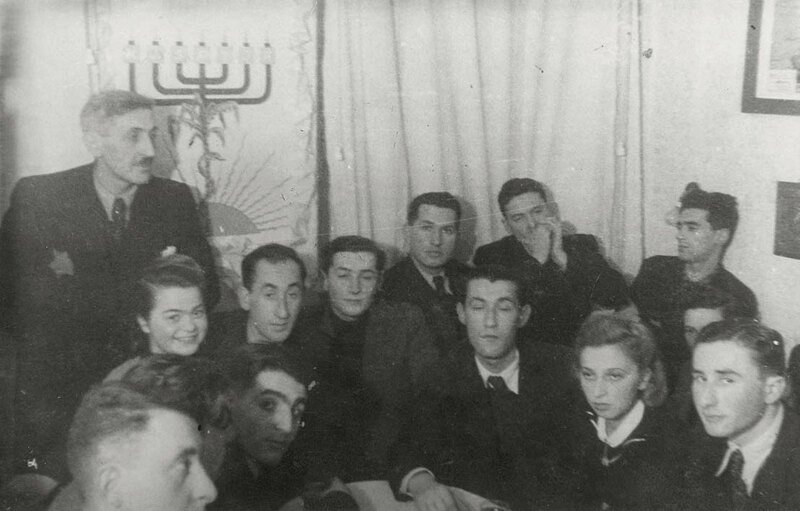 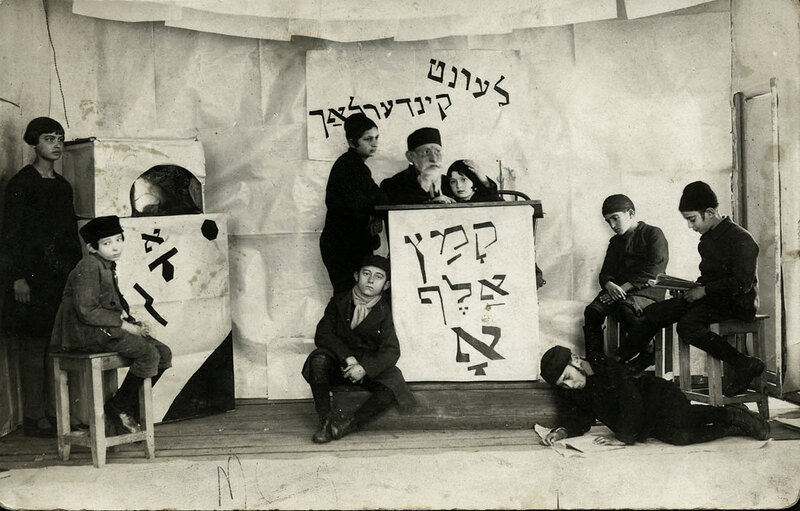 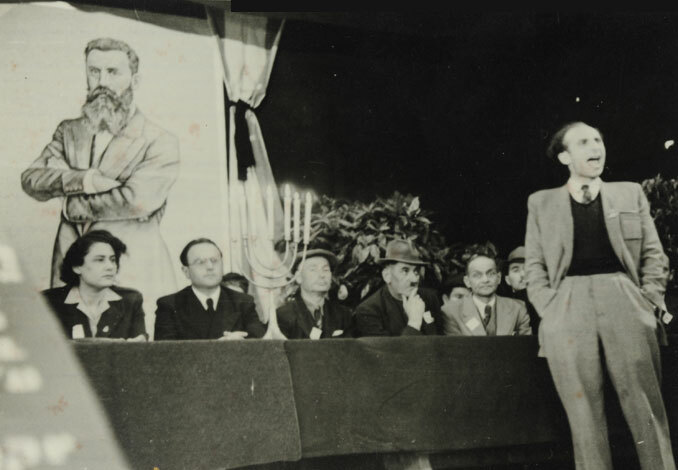 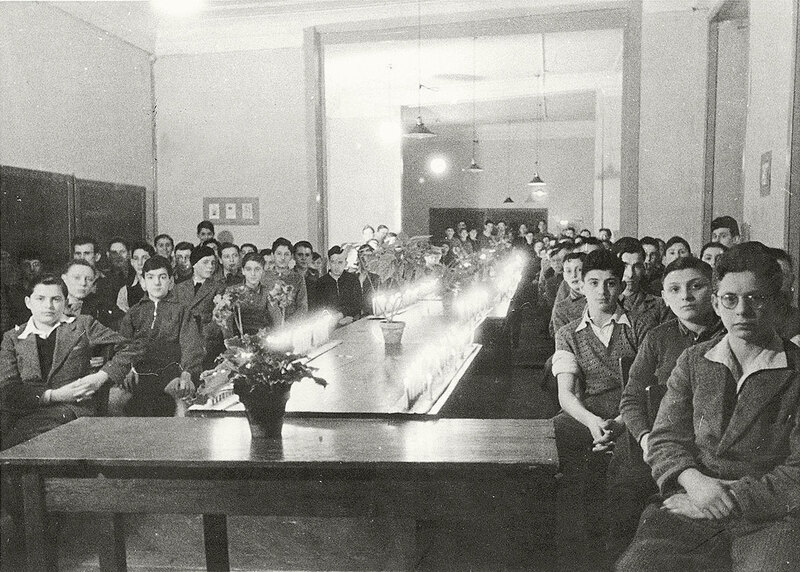 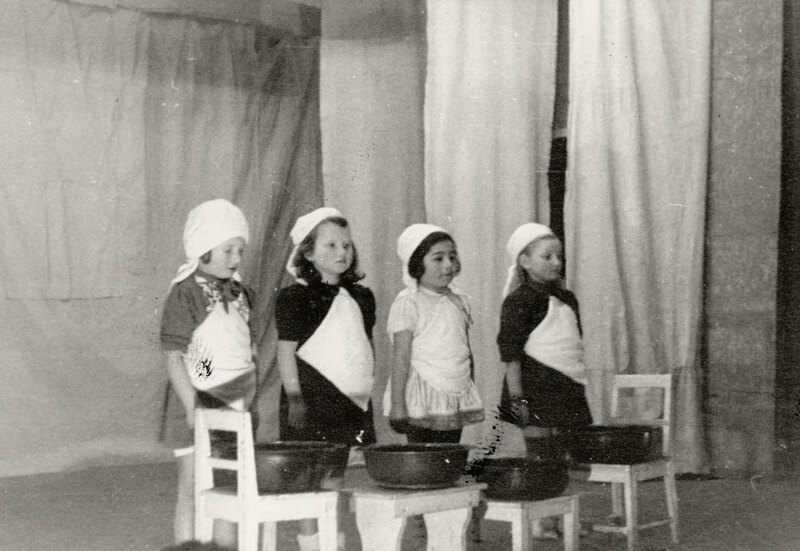 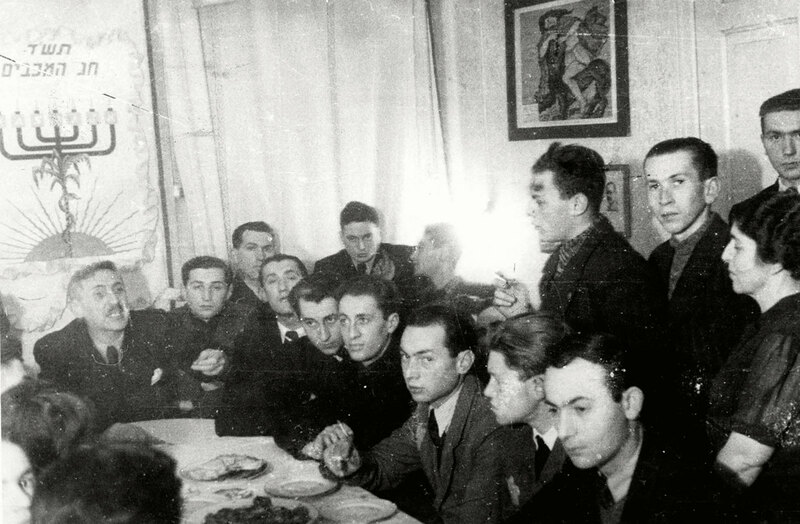 Zamosc, Poland, January 1928, A school play called "Hanukkah Gelt (money)"